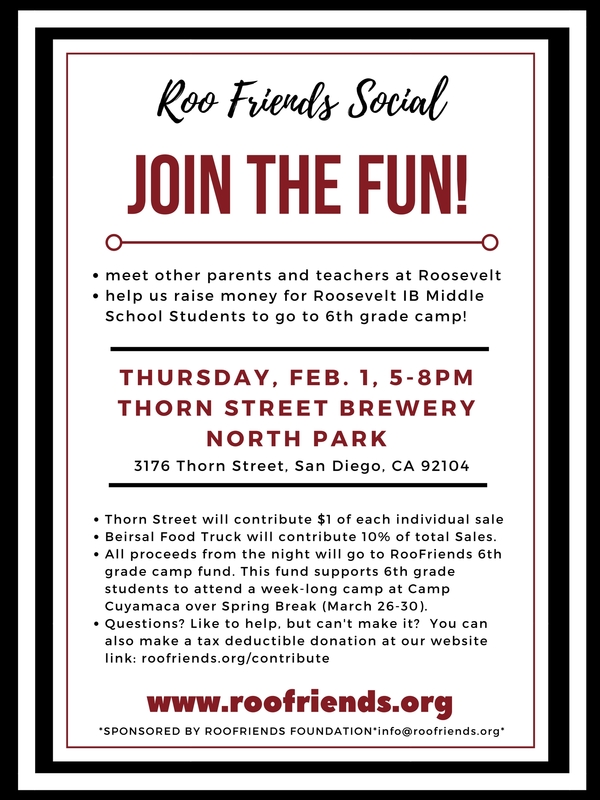 Reminder: RooFriends Social at Thorn Street Brewery – Tonight! Play Trivia! San Diego Trivia will be there to test your knowledge! $5 per person, with a max. of 5 people per team. If you’d like to help with this event, please email info@roofriends.org. See Flyer.